Just Born, Inc. is a privately owned company founded in 1923 and headquartered in Bethlehem, PA, where it manufactures PEEPS®, HOT TAMALES®, MIKE AND IKE®, MIKE AND IKE® ZOURS® and TEENEE BEANEE® Brand Candies. GOLDENBERG’S PEANUT CHEWS® are manufactured in Philadelphia. All Just Born candies are made in the USA. 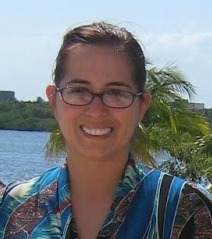 They have great shirts, pj pants comfy pillows and much more. I was very fortunate to be able to check out some of Peeps new “Sweet Gear,”. We loved the Peeps® Pop Art collection the new designs are cool and colorful. The Peeps Pop Art Pillow, takes your favorite treat and shows your favorite Peeps in different pop art colors. The pillow is so very soft and squishy, a great throw pillow, or cuddle pillow. My daughter just loved the pillow, she had to take it to her bedroom right away and use it while she played her games. The pillow is filled with a soft bead-like filling that makes the pillow extra comfortable. My daughter loves to be comfortable, and lounge around the house as soon as she gets home from school, and camp she just loves to be comfortable when she hangs around the house. These cute pajama bottoms are something she just loves! They are colorful and look great. We ordered a youth medium, and since my daughter is on the shorter side we have to roll the bottoms but that is ok that only means she will have the pants for a longer wile as she grows. The Peeps GIANT Eraser is so cool. It is yellow and pretty big, it is larger than my hand. My daughter can’t wait to bring this to school and impress her classmates. This is a great way to show your peeps pride, and it is a useful eraser as well. A big eraser for big (or little) mistakes. It’s an argument I have had on many occasions what it better a fresh peep or a stale one? It’s not often you’ll hear someone tell you they like an item stale, that word it bad when it comes to food and candy but in this case it’s a good thing. A slightly stale peep reminds me of my childhood instantly and why I love them so much, it brings me right back to Easter morning and ripping into my basket to collect my goodies. And it took me until I was an adult to figure out why my peeps as a child were better than the one’s I purchased as an adult. Candy was loose in the Easter basket therefore it was exposed to air and well got a little stale, so no one when I buy peeps I poke holes in the box and let them get just a little hard and to me there isn’t too many things better than a slightly stale peep. I could wax poetic about my love of peeps but there is so much more to the peep family than just those little tasty marshmallow peeps. And the thing I was really excited about is all the different kinds of Peeps, you have your traditional Peep but my how far they have come. Along with traditional Peeps they now have peppermint flavor, gingerbread and something that is rather genius chocolate dipped Peeps. So I always make sure to buy multiple boxes to make sure we’re all happy! We were able to try out two of the newest flavored Peeps including Bubble Gum flavored Peeps, now these are not gum, they are just bubble gum flavored. The Peeps are the color pink that reminds you of gum, the color the taste it all screams this is gum! But don’t worry this is just marshmallow, and you can chew and swallow it. My daughter and my husband especially loved these peeps, they are a great addition to the Peeps family. Alex’s Lemonade stand lemon Peeps were the next new Peeps we got to try. The charity is a great thing, and I love that the Just Born company has teamed up with Alex’s Lemonade Stand to bring us these cool lemon Peeps. The Peeps have a tart lemon flavor, I loved the sweet sugar bottom of the Peeps. This has to be one of my favorite Peeps of all time, yes ever! I love the lemon flavor, and I am sure you will too. We’re lucky enough to live in close enough to visit the Peeps and Company retail store in Bethlehem that we will be taking trips to but if you’re not able to make it to a retail location you can get all of your Just Born gear online as well. Everything from shirts and sweatshirts to shorts and golf gloves….you read that right golf gloves! From Peeps, Mike and Ike’s, Hot Tamale’s and another candy we all grew up eating around here the Peanut Chew Just Born makes candy that is great and invokes memories from my childhood that still put a smile on my face some 30 years later. So if you are looking for a great gift idea make sure to check out all of the cool items that are in the Peeps & Company shop. Peeps are not just for Easter anymore, there are peeps for every season. And who wouldn’t love a cool peeps tee or pillow emblazoned with everyone’s favorite marshmallow treat, Peeps. The generous folks at Peeps and Company® are giving one of Susan’s Disney family readers a chance to win a Peeps prize pack. The prize pack includes: New PEEPS® GIANT ERASER, New PEEPS® ART MICROBEAD PILLOW, New PEEPS® ART JERSEY YOUTH PANTS, New 2CT SWEET LEMONADE MARSHMALLOW PEEPS® CHICKS (one tray) New 10CT BUBBLEGUM FLAVORED PEEPS® CHICKS (one tray) Would you love to win? Well to enter please visit the site www.peepsandcompany.com , take a look around then come back here and tell me your favorite apparel item or candy is. There are also other ways to enter, please enter below. You can purchase any of these cool new Peep items on the website. Make sure to enter the special promo code PIXIEDUST For a 20% discount on your purchase. One winner will win a Peeps Prize Pack! 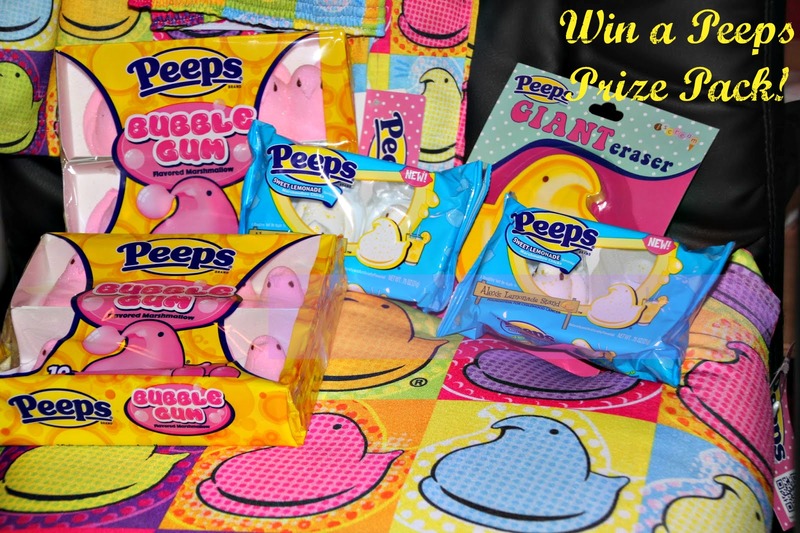 Prize pack includes, a New PEEPS® GIANT ERASER, New PEEPS® ART MICROBEAD PILLOW, New PEEPS® ART JERSEY YOUTH PANTS, New 2CT SWEET LEMONADE MARSHMALLOW PEEPS® CHICKS (one tray) New 10CT BUBBLEGUM FLAVORED PEEPS® CHICKS (one tray). Disclosure: The reviews and or opinions on this blog are my own opinions . I received a peeps pack to review. No monitory compensation was received. I was not required to write a positive review. Your experience may differ. The opinions I have expressed are my own I am disclosing this in accordance with the Federal Trade Commissions 16 CFR Part 255: Guides Concerning the Use of Endorsement and Testimonials in Advertising . 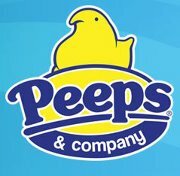 I like their PEEPS® CREEPER - CHILLIN WITH MY PEEPS. Thanks so much for the fantastic giveaway! I love the chocolate covered Peeps they bring out for Easter. They are great to make S'mores with. I love this company..they have so many great things.The PEEPS® SIGNATURE FLANNEL PANT looks so cozy! Love the We're all the same inside bracelet--too cute! I like the original peeps. love the lemon and bubble gum flavored peeps, they are great! Love, love, love the dark chocolate covered Peeps! I like the 8 PC PEEPS® SCENTED GLITTER NAIL POLISH SET. Thanks for the chance to win! I like their Mike and Ike watermelon candy. I love the giant plush bunny. I had no idea they had all of this stuff! Aside from peeps I like Mike and Ikes! What I love from just born makers of Peeps is their continual strive for new products. My favorite still is their original yellow bunny Peeps but I love that they keep their product fresh and current with such flavors as sweet lemonade and party cake. I love the PEEPS® Polka Dot Gift Basket-Large and the Giant PEEPS® Plush Chick from Just Born. I like The Lemonade Peeps!! I like the PEEPS® PAINT MUG. I like the Lemonade Peeps! I love classic mike and ikes! The Bubble Gum Peepa are making my toes curl! I love the pajama pants! i love the just born jelly bird eggs (jelly beans) peps, the peanut chews are a fav too! The chocolate covered peeps are my favorite! I also love the pj pants, my granddaughter would love them. I like the pop art peeps pillow and of course the peeps themselves. I like the original flavor. I LOVE THE GIANT PEEPS PUSH CHICK!!! I love the bunny peeps and I love getting them in my easter basket. I love anything that is made by Peeps.My favorite are the regular peeps. I love any kind of Peeps.My favorite are the original peeps. I love it all, but these Peeps erasers are news to me. If I win this giveaway, certainly it will be hard to decide which child to grant that to! I love the PEEPS® LADIES MULTI CHICK SOCKS. I love fun socks! I love the chocolate covered peeps. Yum!